1080p represents 1,080 lines (or pixel rows) displayed sequentially on a TV screen. In other words, all lines or pixel rows are scanned or displayed progressively. This represents 1,920 pixels across the screen and 1,080 pixels running from top to bottom with each line or pixel row displayed sequentially one after the other. To get the number of total pixels displayed on the entire screen area you multiply 1,920 x 1,080, which equals 2,073,600 or approximately 2.1 megapixels. A TV can be classified as a 1080p TV if it can display video images following the above rules. The types of TV technologies that support the making of TVs that can display 1080p resolution images include Plasma, LCD, OLED, and DLP. Both DLP and Plasma TVs have been discontinued but are still referred to in this article for those that own them, or run into a used unit available for purchase. 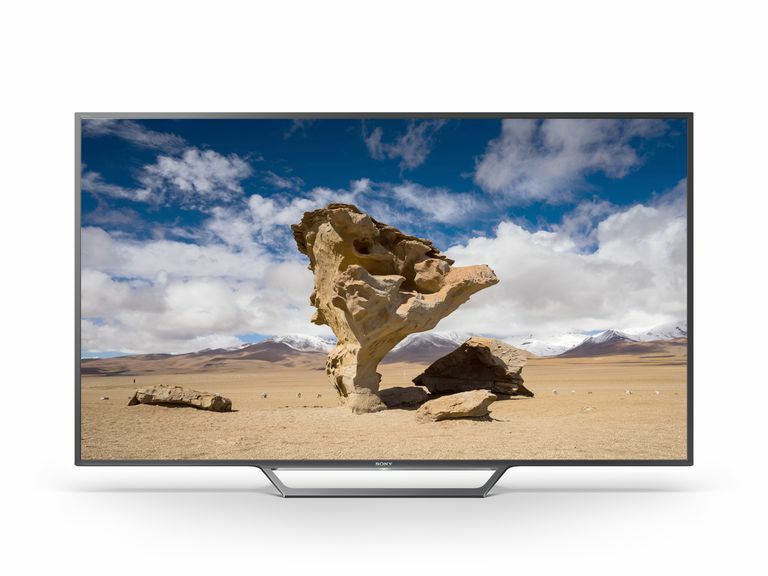 In order for a 1080p TV to display lower resolution video signals, such as 480p, 720p, and 1080i it must upscale those incoming signals to 1080p. In other words, 1080p display on a TV may be done with internal scaling or by accepting a straight incoming 1080p signal. Almost all HDTVs that accept a 1080p input signal directly can accept what is known as 1080p/60. 1080p/60 represents a 1080p signal transferred and displayed at a rate of 60 frames-per-second (30 frames, with frame displayed twice per second). This represents a standard progressive scan 1920x1080 pixel video signal. However, with the advent of Blu-ray Disc, a "new" variation of 1080p was also implemented: 1080p/24. 1080p/24 represents the frame rate of standard 35mm film transferred directly in its native 24 frames-per-second from a source (such as a film on a Blu-ray disc). The idea is to give the image a more standard film look. This means that in order to display a 1080p/24 image on an HDTV, the HDTV has to have the ability to accept an input of 1080p resolution at 24 frames per second. For TVs that do not have this capability, all Blu-ray Disc players can also be set to output 720p, 1080i, or 1080p/60 signals and, in many cases, the Blu-ray Disc player will detect the appropriate resolution/frame rate automatically. Another thing that consumers need to be aware of are TVs that may accept a 1080p input signal but may have a native pixel resolution that is actually lower than 1920x1080. In other words, if you buy a TV with either 1024x768 or 1366x768 native pixel resolution (which are promoted as 720p TVs), that means that those TVs can only display that number of pixels on the screen, running horizontally and vertically. As a result, a TV with a native 1024x768 or 1366x768 pixel resolution must actually downscale an incoming 1080p signal in order to display that signal on the screen as an image. It is important to note that some older 720p TVs don't accept 1080p input signals, but will accept up to 1080i input signals. The number of incoming pixels is the same, but they are input in an interlaced format (each row of pixels are sent alternately in an odd/even sequence), rather than a progressive format (each row of pixels is sent sequentially). In this case, a 720p TV not only has to scale the incoming signal but must also "deinterlace" or convert the interlaced image into a progressive image in order to display the image on the screen. Another thing to take into consideration is the availability of 4K resolution content sources. It is important to point out that most 1080p TVs cannot accept 4K resolution input signals. In other words, unlike 480p, 720p, and 1080i input signals, which a 1080p TVs can scale up and additionally adjust for screen display, they cannot accept a 4K resolution video signal and scale it down for screen display. Although there are TVs available with various native display resolutions, as a consumer, don't let this confuse you. Keep in mind the space you have available to place your TV, the types of video sources you have, your budget, and how the images you see look to you. If you are considering the purchase of an HDTV smaller than 40-inches, the actual visual difference between the three main high-definition resolutions, 1080p, 1080i, and 720p are minimal if noticeable at all. The larger the screen size, the more noticeable the difference between 1080p and other resolutions. If you are considering a purchase of an HDTV with a screen size of 40-inches or larger, it is best to go for 1080p. Furthermore, it may be beneficial to consider 4K Ultra HD TVs in screen sizes 50-inches and larger (although there are 4K Ultra HD TVs that start in the 40-inch screen size).